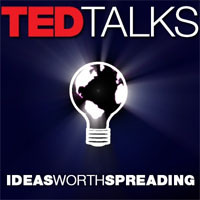 A quick fyi for TED heads in our audience: Right here, you can find an online spreadsheet that lists 875 TEDTalks, with handy links to each individual video. This evolving Google doc will give you access to more than 265 hours of “riveting talks by remarkable people.” Because the page is updated on a regular basis, you'll definitely want to bookmark it and keep tabs on the new additions. Get more great bits of Open Culture on Twitter and Facebook! Thanks for sharing this TED/Google online spreadsheet. You can download the page and open it as an Excel document giving you the opportunity to edit the columns and text. Jim Melfi, founder, videotalks.org.